Time flies! So many photos to upload, so many posts to write. 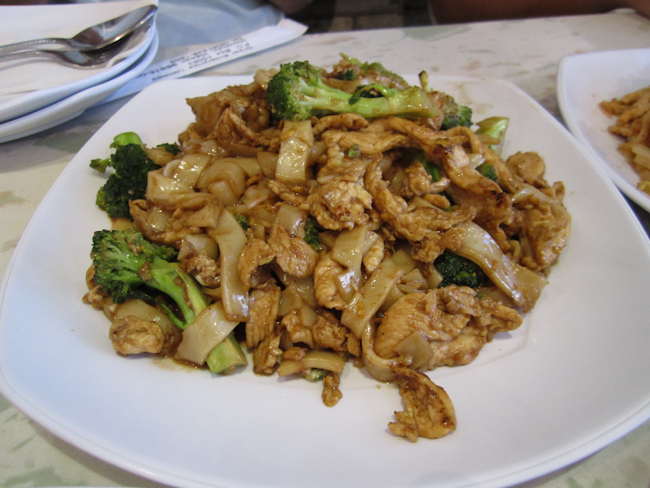 August’s lunch with the girls was at Bangkok Chef on Nimitz, at the request of the Thai food-loving birthday girl. 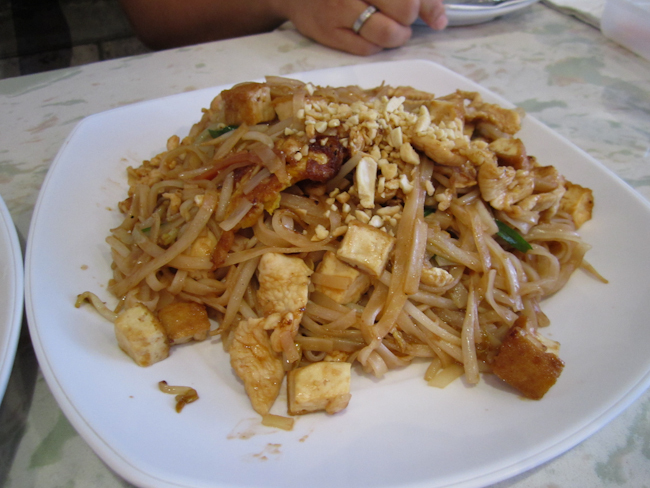 Pad Thai ($6.25) – classic noodle dish that’s a little sweet. 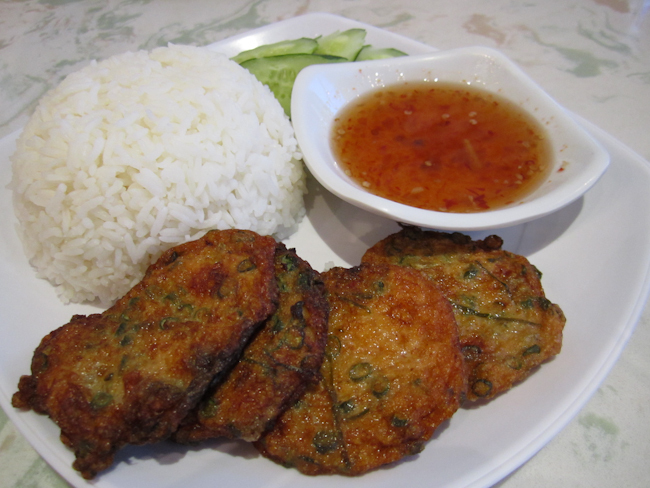 Fish Patties ($6.25) – SO flavorful. This is one fragrant dish I couldn’t even begin to figure out how to make at home, unless I consult an expert in Thai cooking. 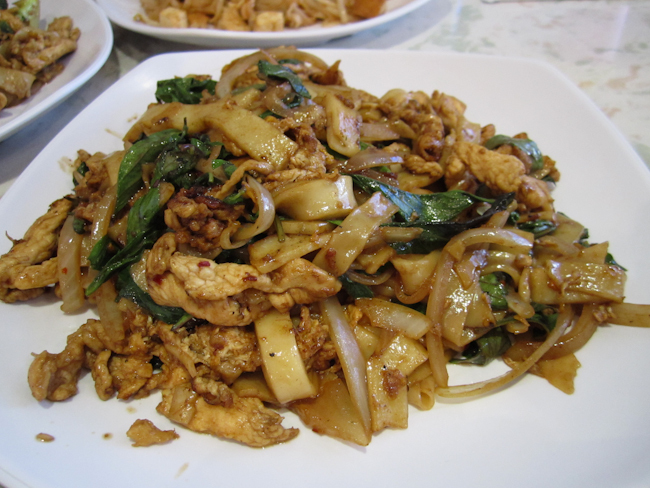 Pad Si You ($7.50) – noodles with egg and chicken with a mild shoyu flavor. 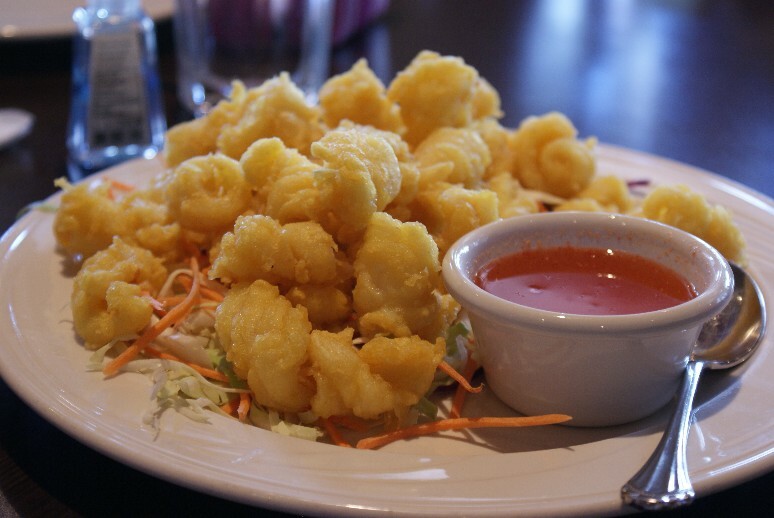 Dishes at Bangkok Chef are reasonably priced, and the success of this local business has basically made Thai food a viable option for quick, inexpensive take out, alongside Korean BBQ and plate lunches. 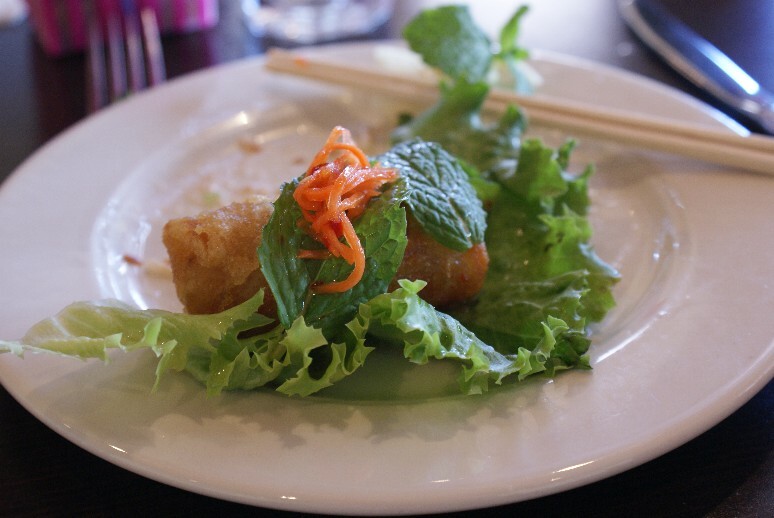 The Nimitz location offers table service in a stylish setting (of course, take out is available too), as opposed to the more casual Manoa and Nuuanu locations. 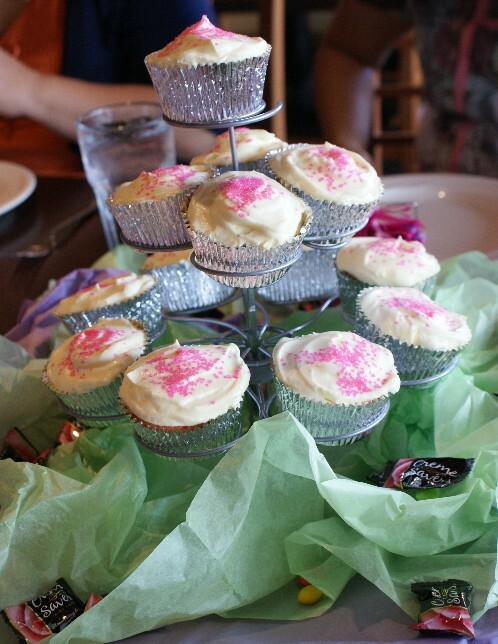 The guest of honor’s mother-in-law and sisters-in-law planned the lovely get-together, and even made this beautiful cupcake tower centerpiece which doubled as a delicious dessert. 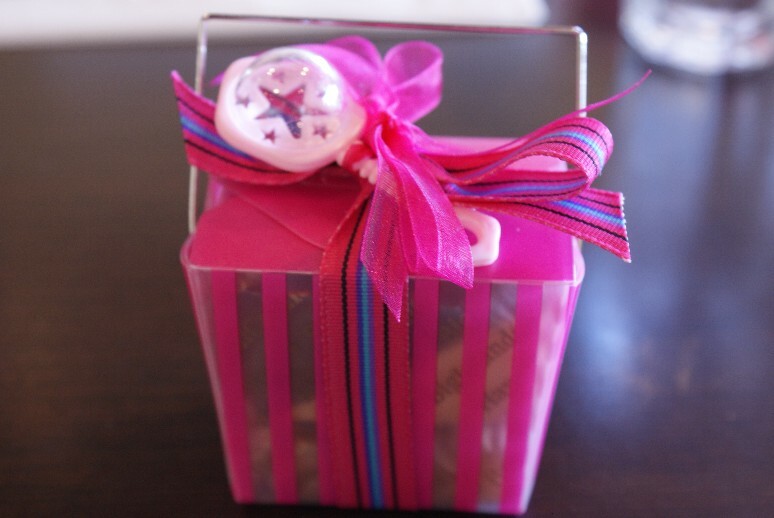 They collaborated with my sister-in-law (SIL4) and mother-in-law (MIL) who provided the activities and these cute favors from Big Island Candies. What teamwork! 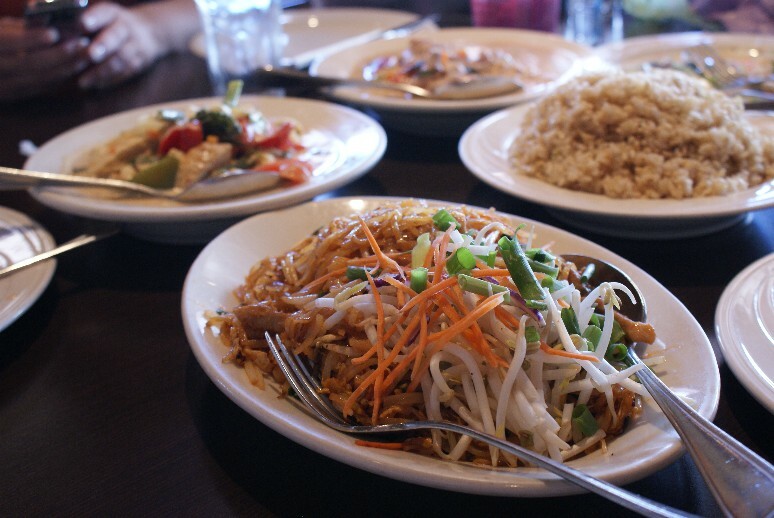 And then enjoyed Pad Thai, Chicken Panang Curry, Tofu Panang Curry, and Rice. The baby is due in about a month and we’re all so excited! Perhaps most excited of all for her first granddaughter is MIL who flew in from Maui just for the day to attend the shower. She already calls the baby “our little princess”.